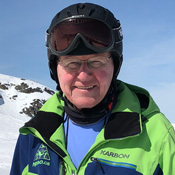 During my journey with the club, I've progressed in downhill skiing from Level 0 to 007 – starting with the beginner chair at Mount St. Louis-Moonstone to conquering Les Trois Vallées, France – the world's largest ski area. I've learned to ski, mostly during overnight bus trips, thanks to lessons from our amazing instructors. I volunteered for the club's Long Trips Committee after my first trip and continue to work with the awesome team and lead overnight trips. Every year, I make dozens of new friends and my social and professional network is constantly growing. This is very important to me as a new Canadian. In 2014, I was elected social director. During my first two-year term, I organized the club's 65th anniversary celebrations. At my day job my role is Continuous Improvement Lead in the Information Technology at a bank. So my professional skills are to analyze the data, systems, processes and to find the opportunities to improve. I am applying my professional skills to the club's volunteer roles. Keep calm and celebrate winters, which are too short with our club! Although Winter sports are not a big thing in my native Ireland, for obvious reasons, my interest was sparked during time spent in Grenoble, France while at University. 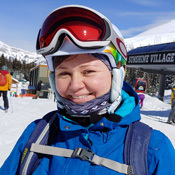 It took a couple more years to finally get on my first snowboard but I haven't looked back since, travelling extensively throughout resorts in Europe and North America. I am a member of HPSC since 2013 and enjoy the access it provides to both local as well as far flung mountains, at a great price. The fact that I have met many great people through the social aspect of the Club is an added bonus. 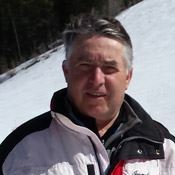 I bring 20 years of professional marketing experience across multiple companies, industries and countries to the board of High Park Ski Club and I'm looking forward to helping tell the great story that is HPSC. Although I started skiing many years ago, it wasn’t until HPSC trips and lessons that I began to learn the finer points of the art of skiing. I have been a member of HPSC since 2014, having been introduced to the club by a very enthusiastic club member. I ski mainly at Blue Mountain but love the organized trips to various destinations. Professionally, I am an engineer and, as the Administration Director, I intend to use my experience to help the club. I joined High Park Ski Club in 2013 when I received a flyer in the mail about the club. Little did I know then how important the club would become to me and how many friends I would make. 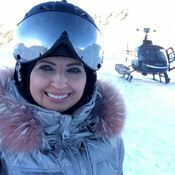 Over the years I've gotten to ski various terrain and resorts through the multitude of ski trips and locations offered. I've also greatly improved my skiing through the free lessons on day and weekend trips. 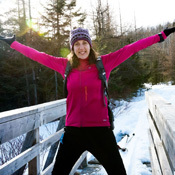 I have yet to tackle cross-country skiing or snowshoeing, but they're on my to-do list! Being part of High Park Ski Club has definitely made me love Winter. Learning that the club was run by volunteers, and seeing the great work they were doing, inspired me to help too. I started by volunteering on the Social committee, and then became the club's Facebook Admin. As Director of Communications, I hope to help spread the word about our awesome club to entice new members to join, and to ensure current members are kept in the loop through all communication channels on the club's activities. As a Project Manager by trade, I'm excited to lend my communication, organisation and leadership skills to this role. When I moved to Toronto in 2017 I decided I wanted to learn to ski, and to meet new people, so I chose to join HPSC. I immediately felt at home and that I had created a new family of friends within the club. I began volunteering as a bus captain on downhill day trips and since then have also been a trip leader on the recent weekend Mount Tremblant trip, as well as volunteering in other capacities with the club. 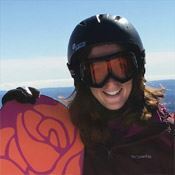 As Director of Alpine Daytrips my goal is to grow the number of members who participate in downhill day trips by continuing to welcome and support new members and to spread awareness about the club, as well as encouraging more current members to get out on the slopes regularly through our day trips. I also plan on expanding the number of bus captains so that the responsibilities are shared by more members and provide support for each other. My desire is that every member looks as forward to, and enjoys, as much as I do going on a HPSC day trip. Joining HPSC is one of the best decisions I have ever made. I began as a new skier and have now travelled around Ontario, and Canada, enjoying the best of winter skiing with my HPSC friends. Becoming involved as a volunteer has led to many wonderful opportunities. I encourage all members to get involved in any way they can! I joined High Park many years ago to meet new friends who were interested in outdoor sports. I found tennis friends, golf friends, running friends and best of all ski friends. High Park taught me how to ski in my early days with the club. I paid close attention to those excellent lessons because I eventually became an instructor. I loved going on the long trips and very soon became a volunteer to help plan and organize them. Organizing trips is now my passion. I want our club to have the best trips, the best value and the most fun. I have met many wonderful people volunteering this way and hope to continue for many more years. We have built a Long Trips Committee of 10 like-minded members who volunteer their talent and many hours of their time so that all members have a good reason to join the club to go on a High Park long trip. I have been a member of the club for about 5 years, and am an avid skier. My professional background is in Graphic Arts and Early Childhood Education, where I last worked as a Parent Support Worker. I am now retired and pursuing visual arts again. I learned skiing as a child and came back to the sport lately, as an antidote to our long grey (inactive) winters. Skiing has become the focus of my year now and I look forward to winter more than ever. As a personal benchmark I gained my Level 1 CSIA, and also bought cross country skis to round out the Ontario ski experience. I love this ski club and am very impressed with the level of professionalism in all aspects, especially in how smoothly the trips run. Obviously the volunteers are who make it work, so it's time for me to pay back and make a contribution in volunteer hours. I hope I can live up to the level of previous Membership Directors. I discovered the club in 2011 and haven't looked back! I live outdoors in the summer and was looking for something to keep me active and having fun in the winter. I found the club online, and, having never cross country skied before, I took the plunge and joined. The 2011 Scenic Caves New Year's Eve trip was my first experience; I remember tons of snow and a very friendly welcome…and I was hooked! Since then, cross country skiing has become my primary winter activity, a sport I could not imagine living without, and the reason why winter is my favourite season. In 2013, I became race director, a role I still hold, and in 2018, I passed my CANSI Level 1 and became an instructor. Joining the club has been an amazing experience in more ways than I could have imagined, with wonderful friendships formed and new skills developed (I can finally skate ski!). With everything the club has given me in the past 7 years, it's important to me to give back and help us continue the amazing work we do. I am particularly proud of the cross country side for developing a fun and supportive community of skiers. It's my goal as director to continue developing that community, working with the board to introduce new people to cross country skiing and growing the volunteer ranks of our community. 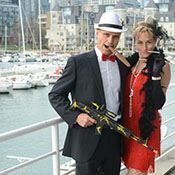 A project manager in my day job, I bring the leadership and organizational skills necessary for this type of role, combined with a tireless love (or, some might say, obsession) with cross country skiing. See you on the trails! Even though I grew up in Québec City and did some skiing there as a teenager, it is when I joined High Park Ski Club fourteen years ago that skiing became the focus of my winters. At first, I simply enjoyed those bus rides to MSLM and Blue, taking fun and challenging classes where I made so many friends! When every one of my winter holidays became a ski holiday with HPSC, I became a Trip Leader and then joined the Long Trip Committee to help plan those exciting vacations! 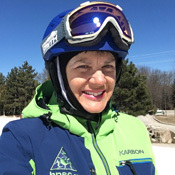 As my skiing progressed, thanks to committed High Park instructors, I took the Instructor Training provided by HPSC, then my CSIA qualifications and joined our Snow School. 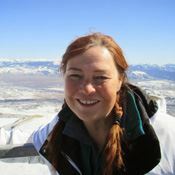 I have now been a ski instructor for seven years and active as Director of the Snow School for the past two years. I am very proud to work with dedicated ski and snowboard instructors who are committed to their own training and to the improvement of all HPSC members. Let's continue to enjoy our snowy winters while having fun together on and off the hills!! I went on my first ski trip when I was 7 years old and ever since then I’ve been hooked. Hailing from Ireland, my annual ski trips brought me to some fantastic resorts in Europe. When I took the plunge to move solo to Toronto in January 2016 my first port of call was High Park Ski Club. I was out learning to snowboard with the club on just my second weekend in the country! Since then I have advanced my snowboarding, joined weekend ski trips in Quebec and the US and most importantly met some great friends. As Finance Director, I will work to ensure the club remains financially sustainable so that we can continue to enjoy all the great benefits of the club for years to come. I joined the club in November 2014. 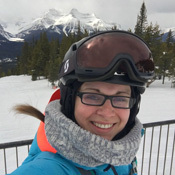 Being New to Canada I wanted to meet like-minded people who love winter sports, find new friends and potentially a future husband to enjoy skiing with. I have met many great people in the club who very quickly became my new family. In my first year as a "High Parker" I started volunteering on the social committee. I like to have fun so it felt like a good fit for me. In 2016 I became the Director of Downhill Day Trips and enjoyed being involved in organizing day trips for downhill skiers and snowboarders. This year, together with my new husband Julian, I am stepping in to help out with social events so we can continue having a lot of fun together. I have been skiing since my 20's and love getting outside on a winter's day. I was a member of North Toronto Ski club many years ago and then went independent. I met my wife Martina in 2017 who happened to be the Director of Downhill Day Trips at the time. So I joined the club in 2017. I have met many of the members and attended some of the socials and really love the atmosphere and friendliness of the club. I look forward to continuing that spirit in our upcoming events. Since moving to Canada in 2005, I was curious about winter sports but never enough to give them a try. A couple of years ago, I decided to embark on that journey but ended up failing. Coming from Colombia, a semi-tropical country where winter sports are just impossible, deep inside I was completely convinced that I was not going to be able to stand on a snowboard and go a couple of meters without falling. At the end of the 2018 season I gave it a try again and something changed. In January 2019 I decided to join HPSC and started to go to every single trip on Saturdays. A month later, thanks to the help of everyone in the club, their patience and commitment, I went from falling every minute on the bunny hill to being able to tackle black diamond runs at Mount Saint Louis and Blue Mountain. 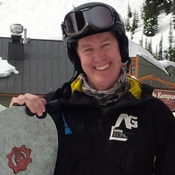 There's still a long way to go, but since I joined the HPSC family, my snowboarding skills and confidence have improved in a way that I never imagined. Now, I want to volunteer some of my time to maintain and improve our platforms and bring new tech ideas to the table. I look forward to working with everyone, hearing your tech ideas and making them happen.